Lord Jesus, of all your post-resurrection appearances (1 Cor. 15:3-7), my favorite is the visit you give to these forlorn friends on the road to Emmaus. I have much in common with them (Luke 24:13-35), for I too can be “foolish and slow of heart.” Thank you for your tenacious tenderness, limitless patience, and steadfast love. Keep doing for me what you did for our Emmaus Road brothers. Help me to see you everywhere in the Scriptures, for you are the main point and primary hero in the entire Bible. You’re our Substitute to trust long before you’re our example to follow. You lived in our place and you died in our place, and rose victorious for our justification. Hallelujah! May Moses’s words—especially the Law, constantly drive me to you. For you’ve fulfilled the demands of the law for us, and are now fulfilling the beauty of the law in us. We could sooner sneeze the sun into existence than we could earn our salvation by our works. Keep me free from every form of performance-based spirituality, Lord. And, Jesus, keep convincing me that you are the resounding “Yes!” to every promise God has made through the prophets—not just with respect to your cross, but also to your crown (2 Cor. 1:20). Having risen from the dead, you are now making all things new. You are sovereign over every molecule and moment, every person and place. Faith, not fear, is the order of this day, and every day. Jesus, give me an incurable case of “redemptive heartburn,” like that which you ignited in the hearts of our Emmaus brothers. Keep showing me more of your glory and grace, that I might give you the adoration and allegiance of which you alone are worthy. So very Amen I pray, in your loving and transforming name. This will be a busy weekend at Crestview. On Friday night, at 6PM, we’ll be enjoying the Lord’s Supper together and considering Jesus’ journey to the cross. Plan to join us as we adore Jesus for what He’s done. On Sunday morning, we have a church wide brunch at 8:30AM, Sunday School at 9AM and Corporate Worship at 10:15AM. 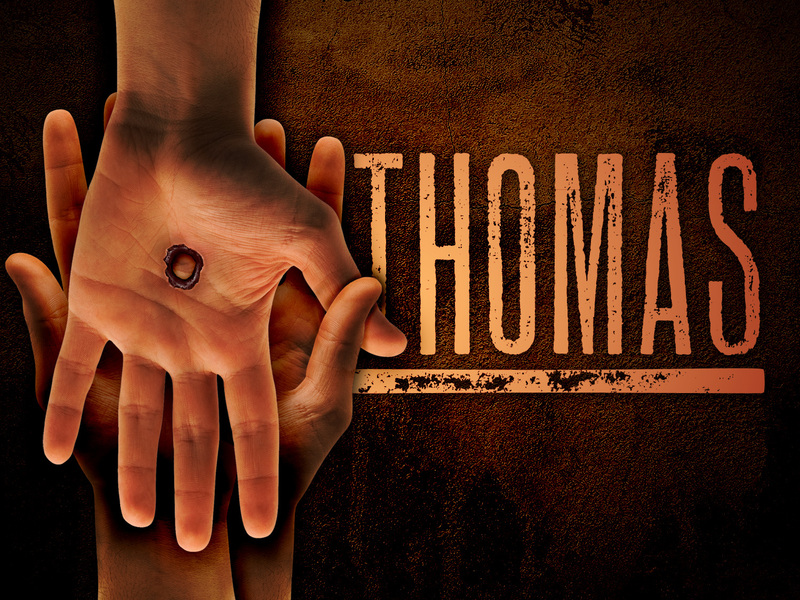 My sermon will focus on the amazing narrative we get in John 20:24-29 and Thomas’ persistence to see Jesus’ hands and side. I hope you come ready to praise God for raising Jesus from the dead. My 4/5/15AM sermon, The Resurrection and the Life from John 11:17-27, is now online. This sermon was my Easter 2015 message and part of our ongoing series on who Jesus and what He did. We are surveying the 7 I Ams of Jesus and this week landed on resurrection truth. I hope you find it encouraging. Jesus lays down his life in order to take it up again. Jesus’ sacrificial death was not an end in itself, and his resurrection an afterthought. His death was with the resurrection in view. He died in order to rise, and by his rising to proceed toward his ultimate glorification (12:23; 17:5) and the pouring out of the Spirit (7:37–39) so that others, too, might live. 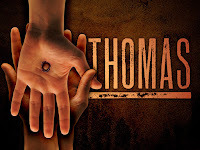 My 4/20/14AM sermon, Resurrection Truths from the book of Romans, is online. This sermon sought to unpack how resurrection truth is presented in this book. From the assumption that Jesus did indeed rise from the dead, to the effect that it has upon our lives, to how we access this salvation message, Romans has it all. I hope the sermon was encouraging to you. My 3/31/13 sermon, Alive Forevermore, from Revelation 1:17-18 is now online. I like taking the current book I’m working through and finding relevant passages that relate to Easter and Christmas when these times come. I’m currently preaching through the Revelation, so it seemed natural to go to this text. The verses are stunning. They leave you hushed and overwhelmed with glory. If you’d like to hear how I handled it, take a listen. Hope you had a great Lord’s Day celebrating the resurrection of Jesus. You can’t get away from Jesus at Easter. Yesterday, at Crestview, my sermon was entitled Jesus Christ Our Lord from Romans 1:3-4. In this sermon, I tried to give an overview of who Jesus is and how this relates to the special nature of Easter. Specifically, we saw that Jesus is God’s Son, fully man and declared powerful in His resurrection. Hope you had a great Easter Sunday. As you probably know, this coming Sunday is Easter. It’s an amazing day to gather together and worship, celebrating Jesus and His life, death and resurrection. This Sunday, in the Scriptures, we will be looking at Romans 1:3-4 and specifically who Jesus is. I invite you to join us. We will have an Easter Brunch at 8:30AM. There will be no evening activities this coming Sunday. Today’s sermon, Gospel 101, from 1 Corinthians 15:1-11 is now online. The sermon sought to unfold the basics of the Gospel highlighting: The Gospel Message: Jesus (vv.3-8), The Gospel Effect: Change (9-10), and The Gospel Call: Repent and Believe (1-2, 11). We had a great morning and I hope you enjoyed basking in the glory of God through His Risen Son.